Home / VFNO 2013 / Vogue / Vogue Fashion's Night Out / Vogue Fashion's Night Out: Are you ready? 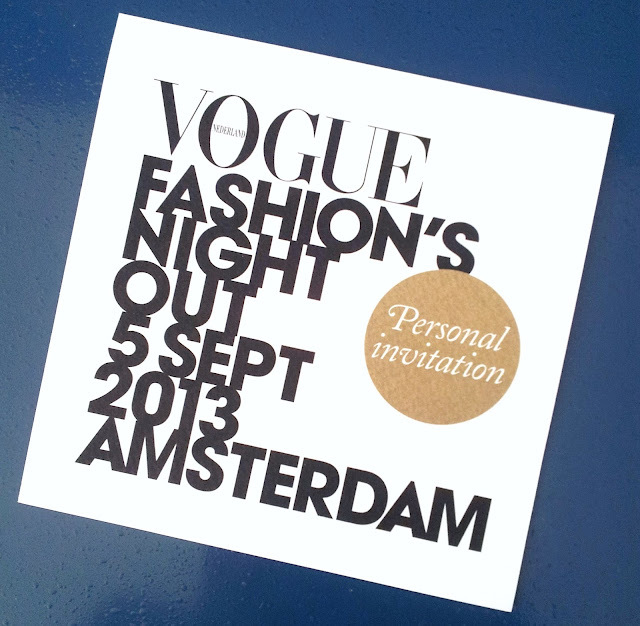 In a few hours VOGUE Fashion's Night Out takes off. Not only Amsterdam but also in Berlin, Hangzhou (China), Sydney and Curitiba (Brasil). This year Vogue Fashion’s Night Out (FNO) will be held in 19 different locations around the globe. This is an after hours shopping event for the public that coincides with some of the upcoming runway shows for Spring 2014 collections starting in September! It was first started to ramp up the economy after the 2009 crisis by encouraging shoppers to listen to DJs spinning beats, sipping cocktails and to shop til they drop. Retailers will offer exclusive items that are only available at the special one day event. In conjunction with certain designers Vogue typically releases special edition tshirts depending on the country you’re from.